WE ARE READY TO PROCESS YOUR ORDER. SATISFACTION GUARANTEED. NEED HELP? PLEASE, SEND YOUR QUESTION. BE READY, ORDER NOW! Windproof polyester shell keep wind and snow out, and plush lining ensures great warmth in harsh winter. 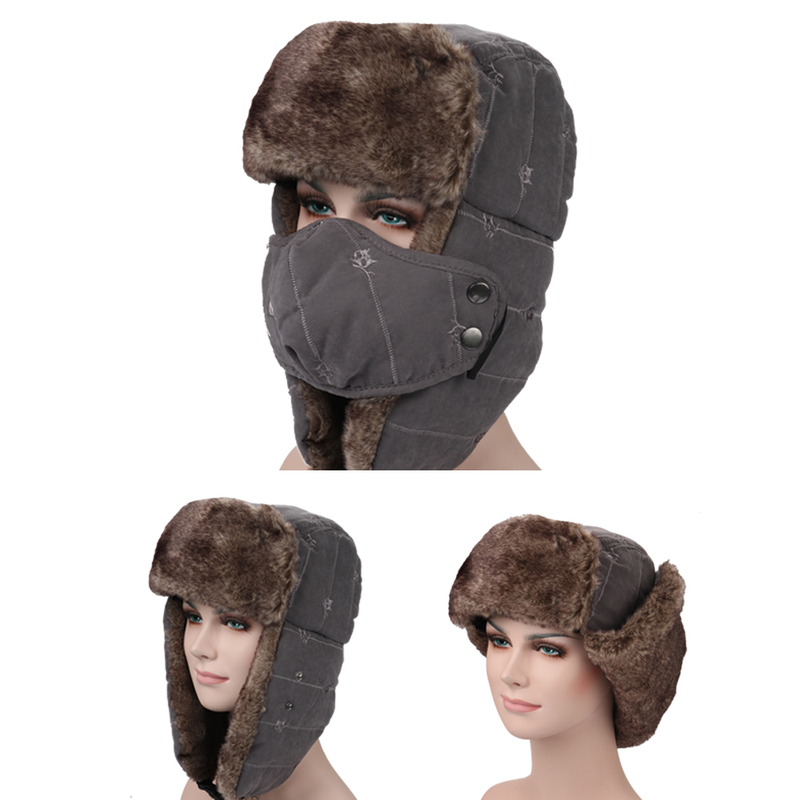 Detachable nose mask and flipped earmuff offer all round protection of your face, ear and nose. 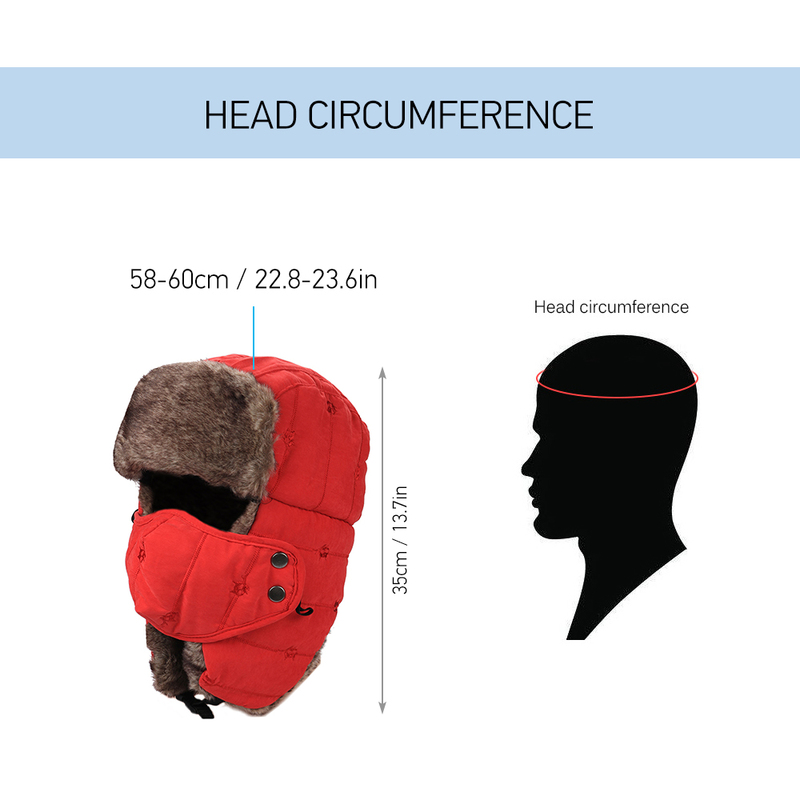 Suggested head circumference is 22.8-23.6in. Superior polyester shell, windproof and water repellent. Plush lining, warm and thermal. Detachable mouth mask, protective and breathable. 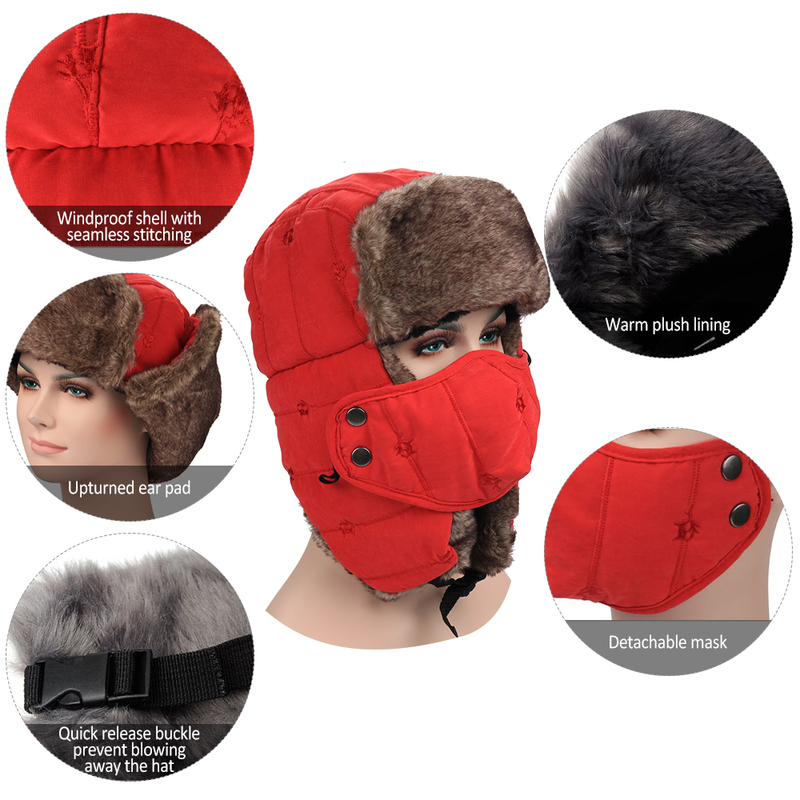 Flip up the earmuff during relax indoors. Quick release buckle fix the hat in place and tighten it to prevent blowing the hat away. 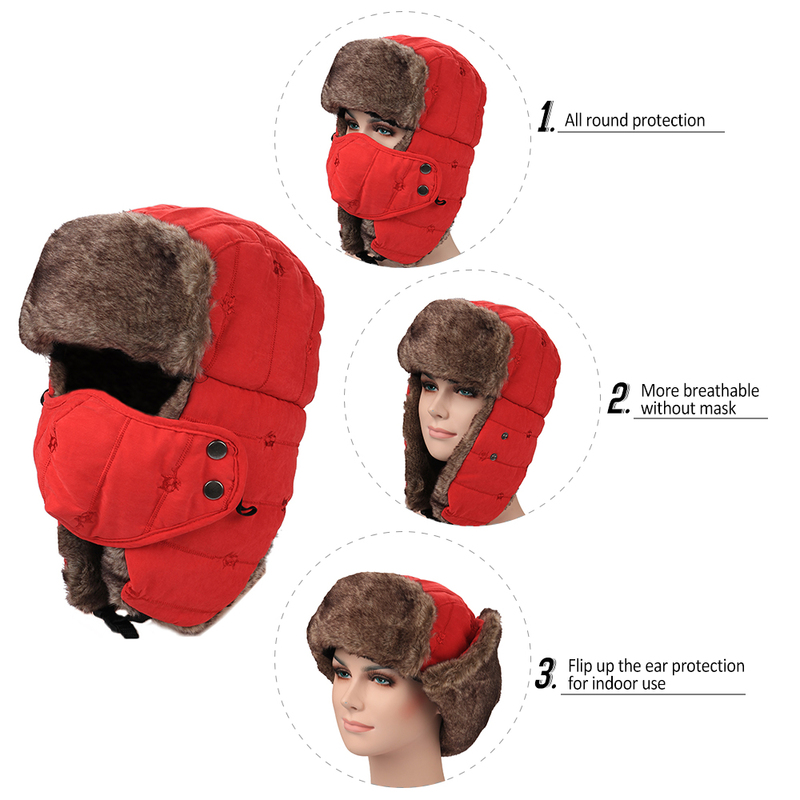 Protect your face, nose and ears from harsh wind and snow, great for winter cycling, climbing, skating and other outdoor activities. The best way to be prepared for what ever comes is to have essential survival gear ready. Proudly supplying preppers & survivalists around the world since 2017. Each product is inspected carefully before shipping to ensure highest standards & full satisfaction. Buy safely at wholesale prices with 30 day full money back guarantee. The information presented here is for general education purposes only. "Free shipping on all orders" offer does not apply for free and promotional products. All trademarks and logos are property of their respective owners. (C) 2017 - 2019.